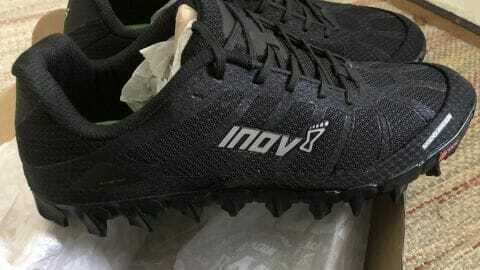 The Inov8 Mudclaw 275 name says it all. Its superior lugs provide unbeatable gripping on the trail no matter what Mother Nature in in store for your run. However, if it’s speed you want, these are not the shoes for you. First off, the Mudclaw is designed for neutral pronators. 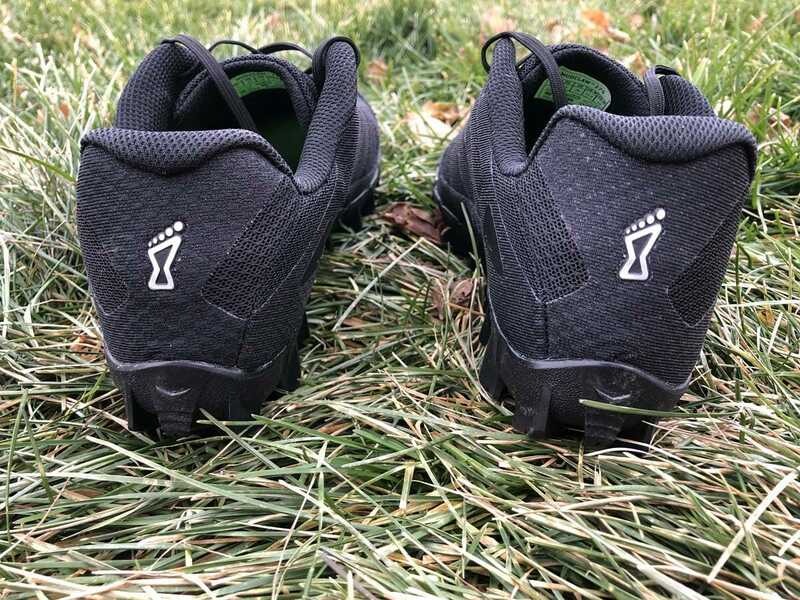 Secondly, it is a good shoe option for those who regularly face challenging conditions like thick mud, snow-covered trails, or participate in obstacle course races. When eyeballing the Inov8 Mudclaw 275 (4mm drop) for the first time it was easy to see what makes them special. The 8mm cleats literally stick out. But that just isn’t when the sneakers are in the box. On muddy, snowy and icy trails, the redesigned lugs held up to the challenge. 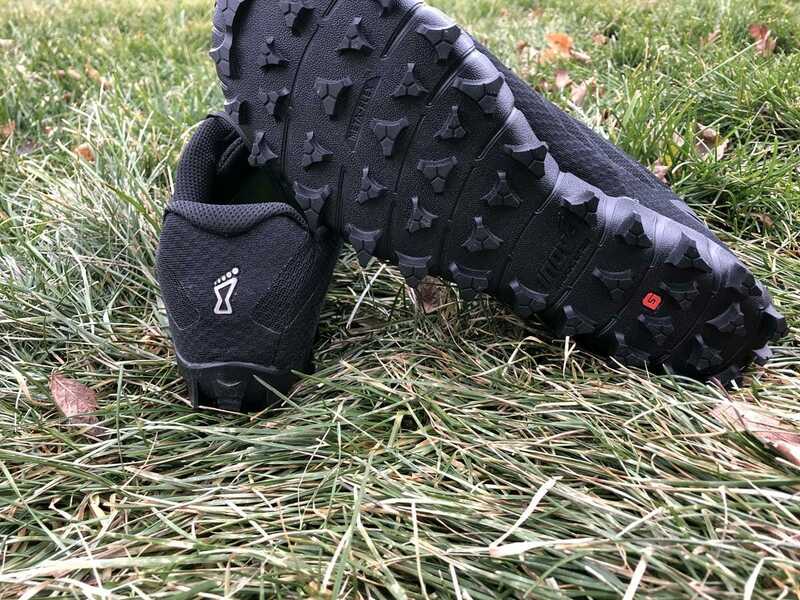 While the new grips are positioned differently, they improve upon what was already considered a superior shoe for running in mud and related conditions. Even in the thickest mud, the Inov8s shed it quickly allowing me to continue on my slow, methodical run. On glass-like icy surfaces, the shoes gripped the ground as well as could be expected, which was far superior to most trail shoes. The 9.7-ounce shoes are not built for speed. So if you are looking for a shoe that handles challenging conditions and allows you to move quickly, there are better options available. Still, the Inov8 Mudclaws have their use — and it’s reassuring to have them in my closet when needed. While I do not participate in obstacle course races, I see these shoes as being a good option for that scenario. While durable, the shoe also has above-average comfort. Its mesh upper quickly dries — an important factor when running in the rain or through water-logged areas. 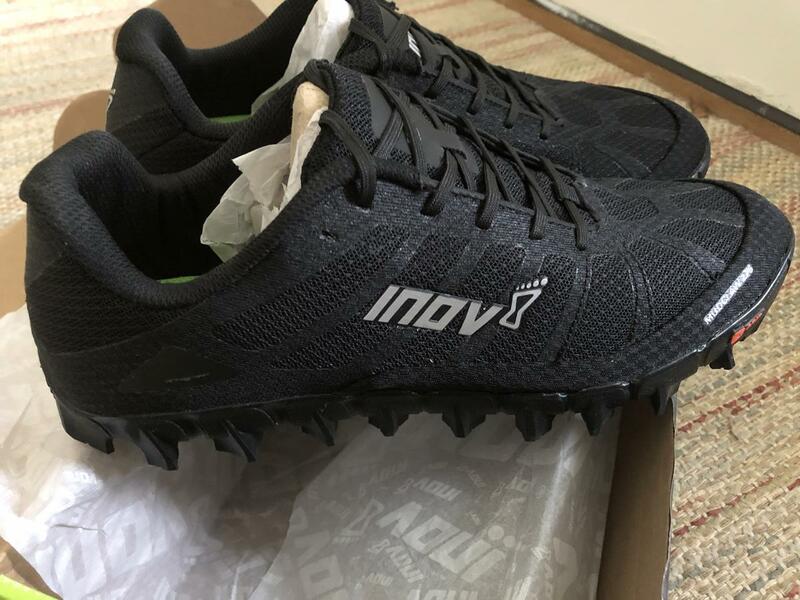 Inov8 uses a set of gaiter fastenings as a way to put a finishing touch on a shoe designed for tough muddy, icy, slippery, water-logged terrain. When it comes to protection, the Inov8 Mudclaw delivers. As previously mentioned, the shoe’s design has been created to allow the runner to get through sticky situations. Speaking of sticky, the shoe’s outsole is made of Sticky Rubber, which has a durable nature that limits abrasion. Up top, the shoe has a gusseted tongue that works to prevent trail debris from invading the inner part of the shoe. And since the shoes are designed for the mud, Inov8 has created a way for gaiter attachments to be latched on to the shoe’s gaiter traps. This is my second pair of Inov8s. Based on my first pair and my first 50+ miles in the Mudclaws, I fully believe that the manufacture, production and design of these shoes will ensure that they are built to last. 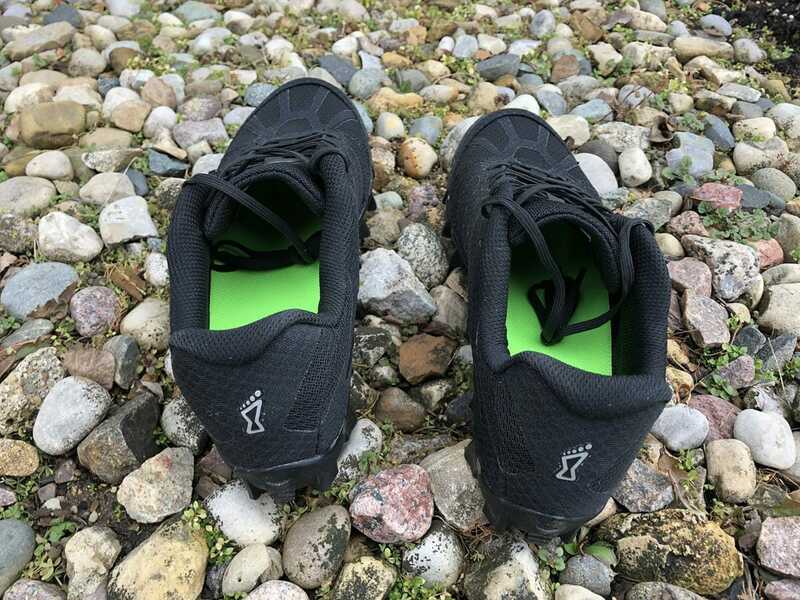 It’s especially encouraging that even though these shoes have been used in treacherous conditions, they are not showing even basic hints of wear or tear. While I don’t consider these everday running shoes, it’s reassuring to know that when I need to summon them, they will answer the call. This is where the Inov8 Mudclaw is somewhat lacking, and really where the consumer-runner needs to make the decision. It’s a balance between a shoe that is superior in gnarly conditions but lacks speed vs. a shoe that doesn’t handle sticky conditions well but can move the runner along quickly. When I tried to go faster on the dry, less technical trails, the Inov8 Mudclaws did not respond. They are not the shoes I want to have for a fast race. But if I’m in an obstacle course race, a muddy, slick race or similar conditions, I’ll be reaching for the Mudclaws. Bigger than normal. Ideally, runners choose a half size smaller. Once a runner gets the correct the size, the comfort is obvious. 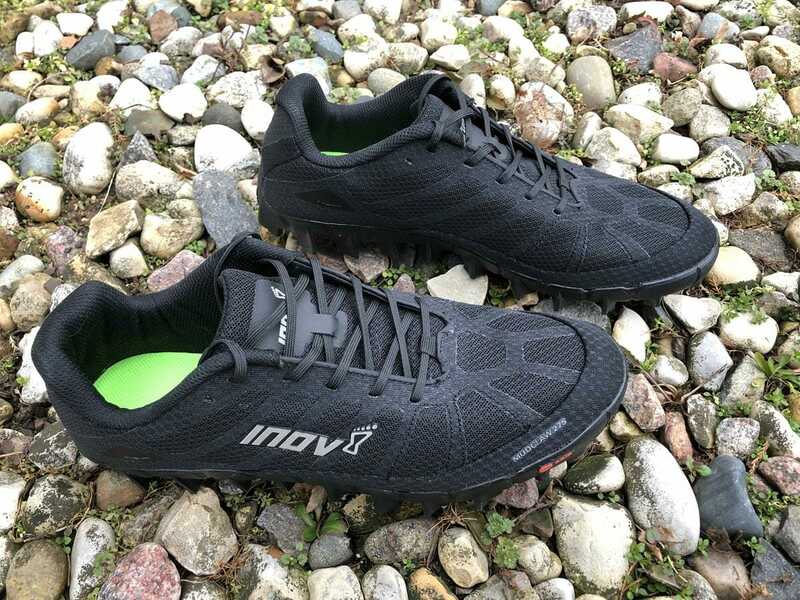 Inov8 uses ExteroFlow cushioning to provide a soft center along with a firm and rigid covering that prevents deterioration. The Mudclaw is really a shoe engineering marvel — offering amazing protection on muddy courses while the minimal cushioning provides a comfortable feel for the runner. For beginning trail runners who want to explore the great outdoors or for those who rarely run trails in adverse conditions, this shoe is likely not at the top of their lists. Same goes for those who favor trail and races where speed is the name of the game. The answer is different for those who seek out the muddiest, gnarliest, most challenging conditions. Or for those who love to face the challenges of obstacle course races, fell running or winter trail adventures. For those who need a shoe that is secure, durable and offers superior grip, the Inov8 Mudclaw is an excellent addition to their collection. We purchased a pair of Inov-8 Mudclaw 275 from Running Warehouse using our own money. This did not influence the outcome of this review, written after running more than 50 miles in them. Anyone got any experience of using these in very icy conditions? I’m in Canada and forced to run using nano cletes over Glycerins or Bondi 6. Hi Frank, during part of my testing I took the Mudclaws on an 11 or so mile run through a snowy and icy trail. While I did slip once, that particular icy section was like glass. I don’t know if any trail shoe would have kept me up right 100 percent of the time on that section. While I wasn’t able to go quickly through other icy sections, I felt comfortable and confident with the lugs and their gripping power. Hope that helps.